Spray Point Station occupies a unique and significant natural area in the upper Waihopai Valley in South Marlborough. The property contains the whole valley-floor-to-tops sequence, a diverse landscape made up of a mosaic of interconnected ecosystems which support a huge range of native fauna and flora species. Details of the species present on the property are available in our Biodiversity List, available at Cob Quarters and Boundary Creek Cabin. 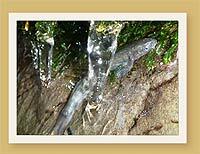 Some of the most exciting highlights include rare and endangered species of New Zealand native plants and birds. Visitors might see the whio (blue duck) and the kea, which are both classified as Nationally Endangered, the eastern falcon and kereru, which are both in gradual decline, and the black shag, which is classified as sparse. The regeneration of native plant species and a programme of predator control are both underway to help sustain and build numbers of these birds. Visit the activities page for more on birdwatching. 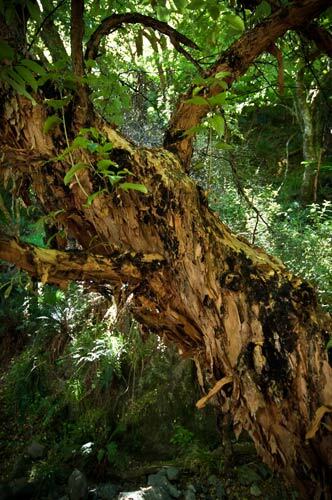 Rare plantlife is also in abundance, and the property has some wonderful examples of native regenerating bush, including kanuka trees estimated to be a century old. 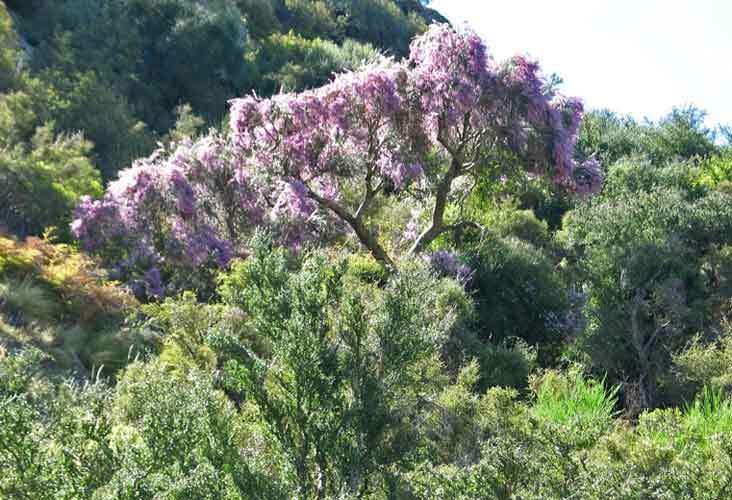 The presence of northern pink broom (Carmichaelia carmichaeliae), a local endemic which is currently listed as extremely threatened (Nationally Critical) is highly significant, and we are also excited to have found samples of fierce lancewood (Pseudopanax ferox, listed as At Risk, Naturally Uncommon) and brittle/green mistletoe (Tupeia antarctica, listed as At Risk, Declining). There are also rare daisy species and trees including kowhai and matipo. Fencing and the removal of grazing stock are key programmes which will help these rare plants survive in the Waihopai. 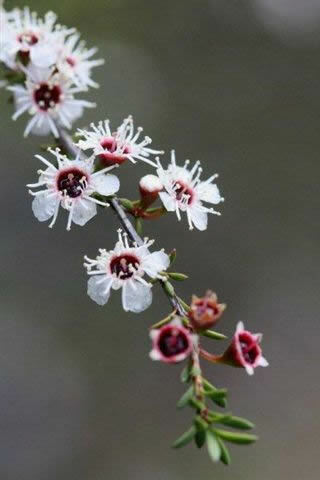 Read our Native Plant Species List. Visitors with patience and keen eyes might also spot native geckos, skinks, and native invertebrates, including beetles, butterflies, moths, grasshoppers, weta, cicadas, stick insects, dragonflies, spiders, snails, and possibly even bats. 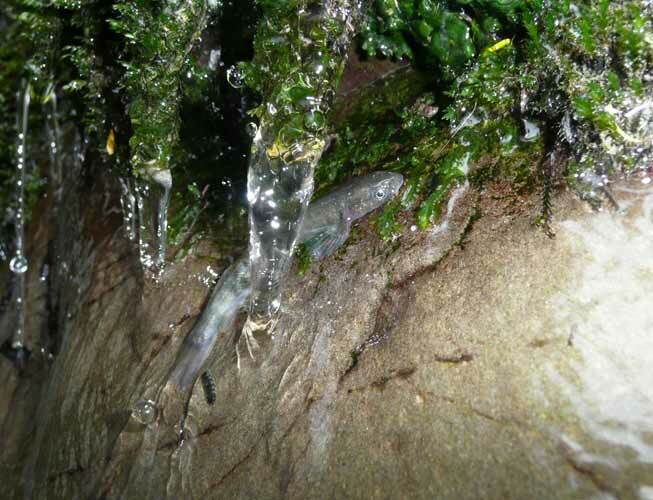 Work is currently planned to measure the varied species of native freshwater fish in our streams and waterways. One of the key aims of Off the Mapp is to protect and enhance the natural environment and indigenous biodiversity on Spray Point Station for future generations. 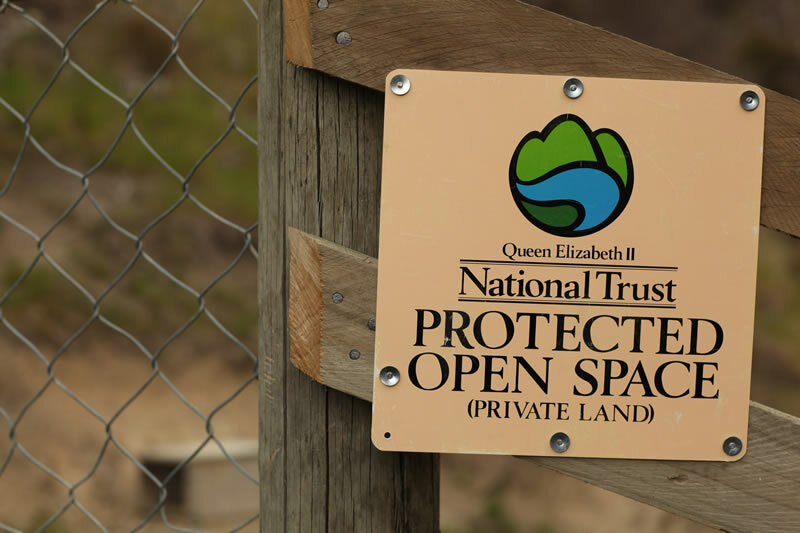 Since the purchase of the property in 2004, a very large area of over 1000ha has been set aside under QEII Covenant with the aim of restoring the land to support indigenous fauna and flora. Off the Mapp welcomes keen individuals and groups looking for volunteering opportunities to continue this important work. Please contact us for information on current projects. “Farming fresh air” is the newest diversification in the Spray Point Station story, as traditional grazing country is allowed to return to native forest, providing a natural carbon sink and improving the biodiversity, erosion problems, and water quality in the area. 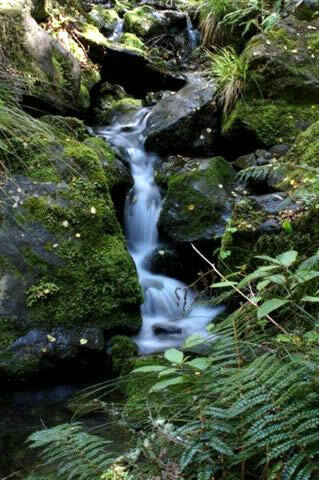 The project is being carried out under the Permanent Forest Sink Initiative, a scheme designed for long-term carbon storage in permanent forests. Unlike the Emissions Trading Scheme, there is no allowance for large-scale harvesting of the forest and forest registration includes a 99-year contract for carbon sequestration (storage). To be eligible for credits, the land must be retired from farming and have, or be likely to have, at least 30% cover of forest species that will reach a height of five metres at maturity. Properties are evaluated and carbon sequestration rates are measured by scientific work. The carbon credits issued are then able to be traded on an international market for offsetting carbon emissions. The new forests on Spray Point Station will take time to regenerate. Areas currently tussock and matagouri, will in time see species like kanuka and beech come through. These species growing at different rates will provide a permanent carbon 'sink' that will be stable for centuries into the future, benefiting not just the local area, but our global environment. To purchase offset credits, or for more information on carbon farming, please see www.carbonfarm.co.nz. Spray Point Station is underlain by Late Jurassic-Early Cretaceous well-bedded but structurally complex sandstones and mudstones (argillites). The mixture of old and new sediments which form the geology of the area is preserved in a diverse range of rocks that include parts of the original sea-floor ripped up during the collision between the coastal land of Gondwana and the sea floor (black or dark grey slabs of lava, some showing ‘frozen’ gas bubbles, or ‘vesicles’), chunks of the original sediment deposited on the sea-floor and later uplifted and then eroded again (brown or grey sandstone and grey or black mudstone), and new material added from the much older rocks that form the Nelson ranges to the west. A careful search of the rocks might reveal the fossils of shells deposited on the floor of a long-vanished ocean. In more recent times, movement along the Alpine Fault, which marks the boundary between the Pacific Plate to the east and the Australian Plate to the west, has twisted and deformed the rocks on Spray Point Station further. 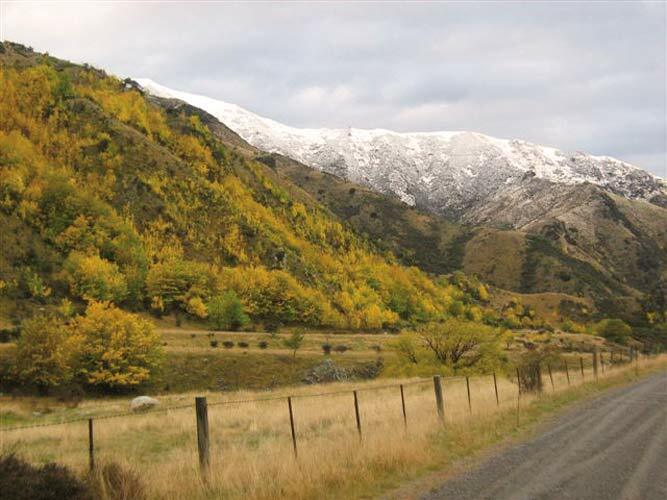 This latest phase of continental collision, still taking place today, has formed the modern Marlborough mountains and is recorded by infrequent but powerful earthquakes along the main Marlborough faults. The Waihopai Valley is cut by numerous faultlines that 'chop up' large slices of rock; because they crush and splinter the otherwise solid rock, these faultlines become favoured sites for rivers to cut valleys. 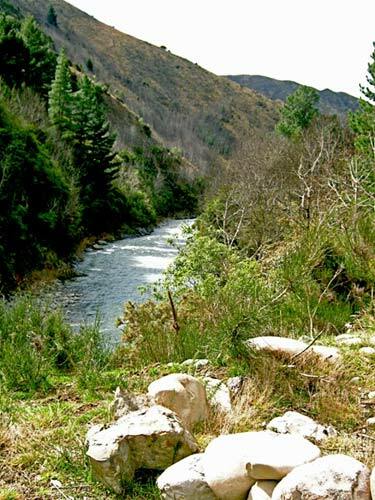 The Waihopai and Spray Rivers are good examples of river valleys that follow faultlines. Newly eroded rocks from Spray Point form boulders and gravel in the riverbeds that will be transported over time downstream to continue the cycle of erosion and uplift. Thanks to Dr Murray McClintock and Geoff Walls for their contributions to these pages. The success of the conservation project requires ongoing commitment. Over the coming years, the work will focus on continuing to improve fencing and pest control. Additional fencing will prevent domestic stock and feral animals accessing the protected area, allowing regeneration of indigenous vegetation to proceed more rapidly and new forest to establish on areas now occupied by grassland. The project area shares a boundary with two large areas of unoccupied Crown land so the completed fencing work has the added effect of protecting the Crown block, providing valuable outcomes for biodiversity by restoring connectivity between these areas and allowing them to develop as a single block of protected land. Pest control will focus on dramatically lowering numbers of stoats and ferrets, wild cats, feral goats, deer and possums within the protected area, to reduce populations of animals that prey on native bird species in the protected area, which include the New Zealand falcon and whio (blue duck), as well as other native bird, lizard and invertebrate species. This will be aided by the establishment of a permanent safari-style wilderness bushcamp on the tops to facilitate access for pest and wasp control.